Waking up at the crack of dawn the morning after Halloween? Sure, sounds like a plan. It was for Emma Healy, Events Coordinator here at your fave college radio station. This week we’re highlighting Emma on the heels of her participation with Over The Edge San Diego, a fundraising event to help fight Brain Cancer. Thanks to Emma’s hard work, KCR got involved with the Accelerate Brain Cancer Cure organization. 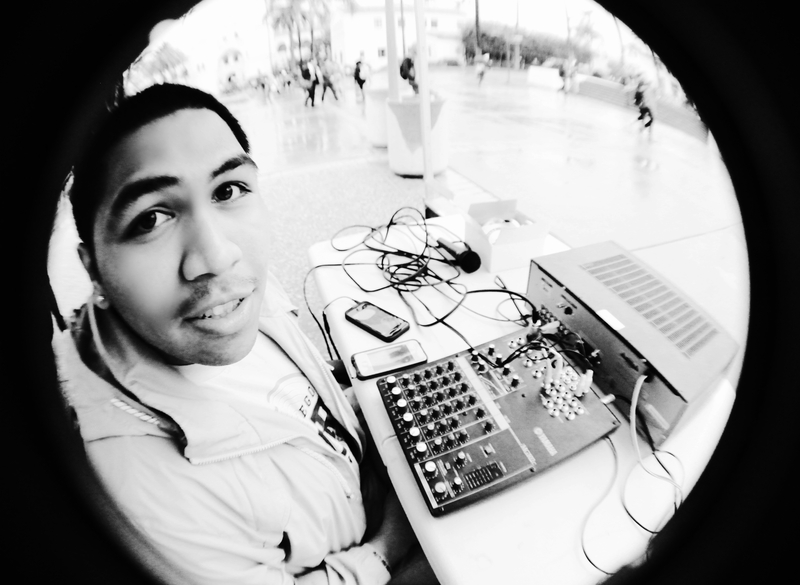 We got the chance to MC and DJ their event, and we had an amazing time doing it! The powers that be at KCR want to thank Emma for all her hard work putting on our amazing events. 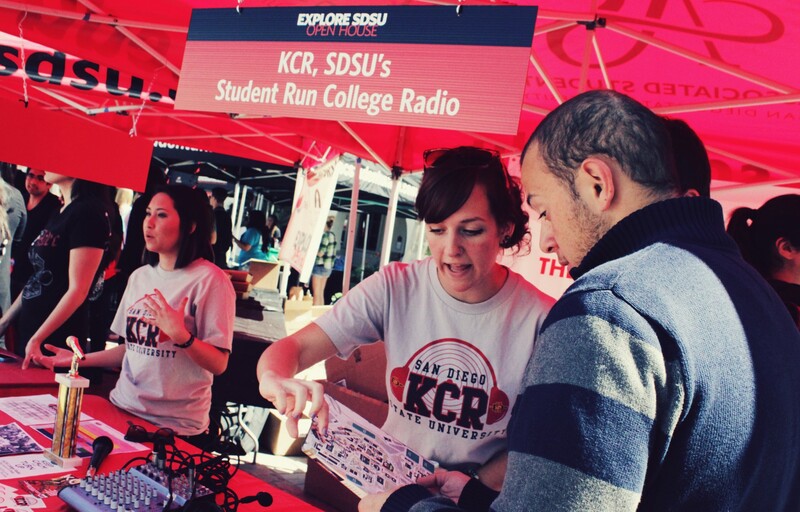 If you ever find yourself at a KCR event, or casually enjoying live music at the SDSU Farmers’ Market, you can thank Emma for it. Her undying love of music & mad event-planning skills have combined to create an awesome weekly event. She has scheduled tons of artists for our Thursday Turn Ups at the Farmers’ Market. Two of our biggest goals at the station are connecting SDSU students with rising artists, and giving musicians a venue to showcase their talent. Without Emma, the Farmers’ Market would still be a quiet, quiet place filled with only with sounds of rumbling stomachs and sizzling tacos. Emma always works tirelessly with no complaints to set up in-house events, as well as opportunities for KCR members in the community! In summary, she is a rock star responsible for approximately a million things that make KCR what it is today. Tune in to Aztec Heartbeat tonight at 6 for your chance to win! 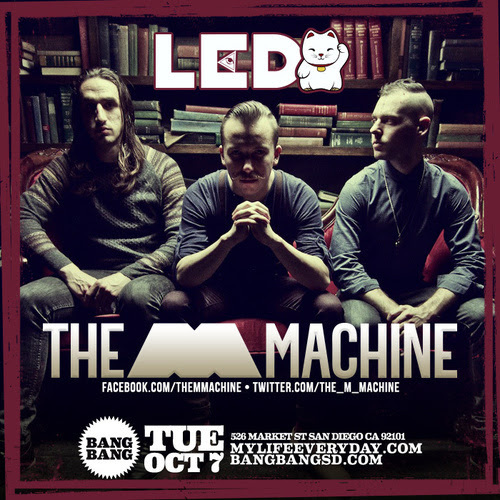 Lizet and Carissa are giving away free passes tonight for The M Machine at Bang Bang on Market (21+). There will also be a chance to win Life is Beautiful passes! Listen online with the Shoutcast player. Once upon a time, KCR’s General Manager Olivia was sitting around thinking of ways to make the station more rad. Then she thought, hold up– KCR is already rad because of all the people who volunteer their time to make it rad. So Shout Out of the Week was born to recognize our members! Every week we will highlight someone who is doing a stupendous job. This week we decided to highlight two excellent KCR volunteers: Jini Shim and Josh Papas, who conveniently took a picture together last week, even though they had no idea this was happening. First up, shout out to our amazing Music Director Josh Papas. Next, shout out to Jini Shim! 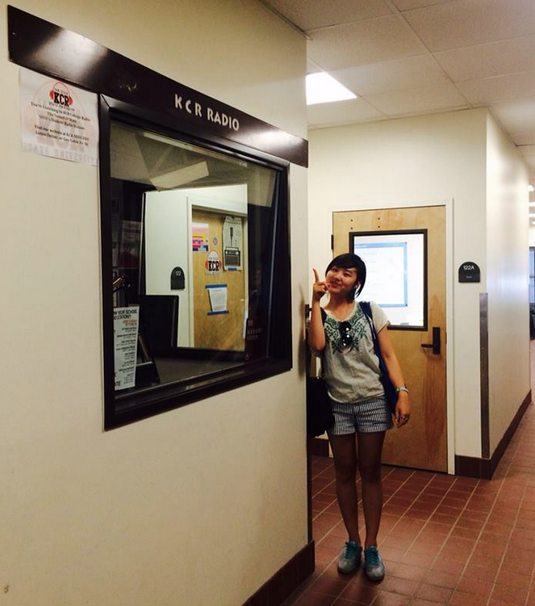 Jini Shim is a new addition to the KCR family, and she hosts Jini’s KPop Hour. 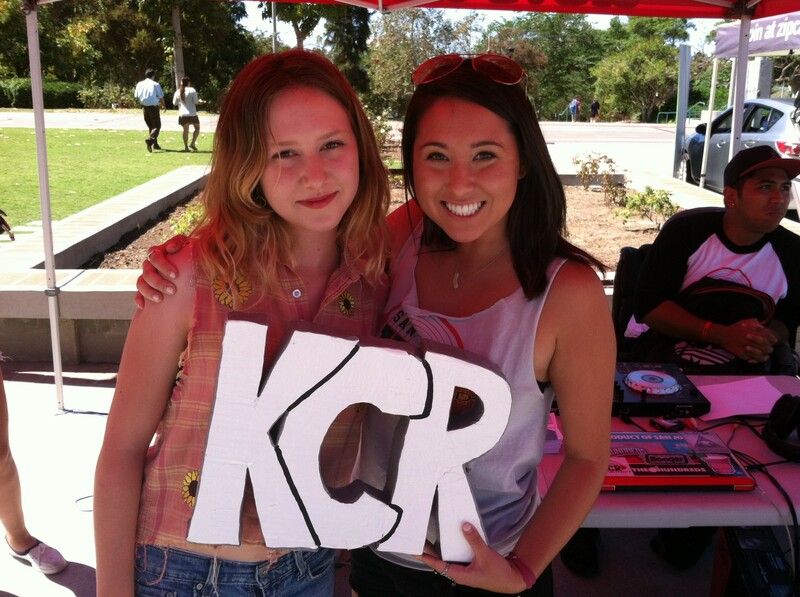 She has done an amazing job as a new member with show quality & building interest at SDSU for KPop music! Everyone was blown away by her first show of the semester, so you probably don’t want to miss out on listening to this rising radio star. Listen in to her show every Wednesday at 11 a.m.
Big Bang, 2NE1, SNSD, EXO… If any of these words grab your attention, you are in for a treat! 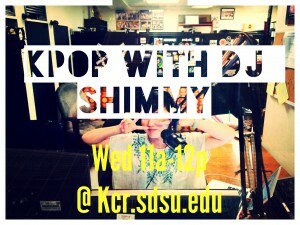 For the first time ever in the history of KCR, Jini Shim aka ‘DJ Shimmy’ brings Kpop (Korean pop music) to the KCR airwaves. 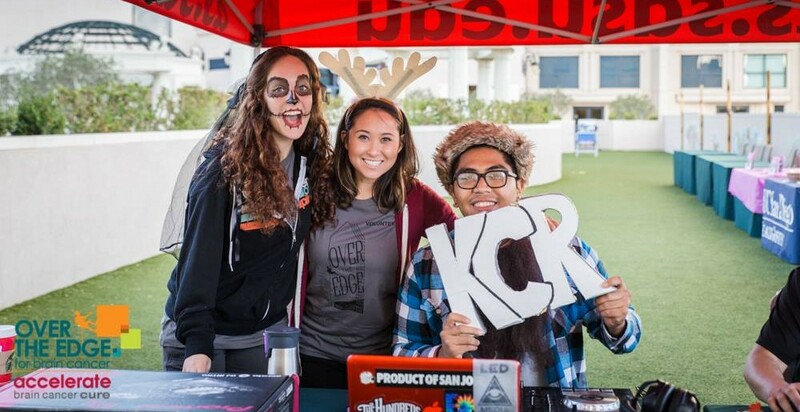 Sept. 25th was the first Farmers’ Market Turn Up of the Fall Semester! If you missed it don’t stress, we will literally be there every Thursday 12-1pm from now until eternity. This week our very own Siena Riley performed live. Again, don’t stress if you weren’t there. The internet has you covered. If you like her style, catch her radio show Feed Your Head Wednesdays from 4-5pm. Listen online right here, on the TuneIn Radio app or from your TV set. She’s also playing at the Che Cafe on October 11th along with fellow KCR DJ Joey Bautista and his band Salad Bar Slytherin. KCR pride. Remember us when you’re famous. Shouts out to all you folks who stopped by to get the secret hashtag for the Life is Beautiful Festival giveaway! If you haven’t already, Instagram your reason that life is beautiful with the tags #kcr #kcrlibgiveaway #lifeisbeautiful and you will be entered to win.